Situated in the heart of Nagano Prefecture, Matsumoto City is a popular destination for many, known as a castle town with a long history and the gateway to the northern Alps. Matsumoto Castle, the city’s star attraction and a national treasure, is a famous tourist spot, but the city is also known for buildings constructed in the downtown districts during the Meiji and Showa eras, their mix of western and Japanese influence lending the area a touch of nostalgia. Matsumoto City is also known for its natural springs, and is dotted with a series of wells. Matsumoto Castle was built in the late 1500’s at the end of Japan’s warring period, and makes for a striking sight. The donjon (castle keep) is a national treasure, and the castle remains are designated as a national historical landmark. 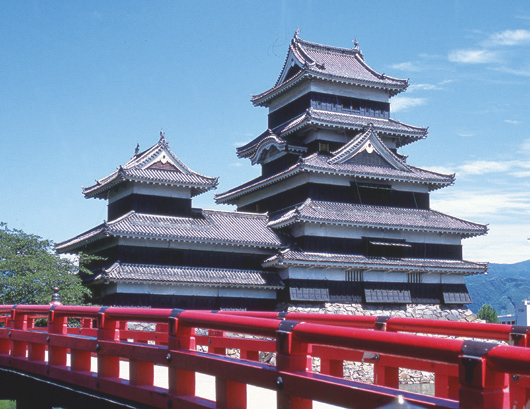 Visitors can view the interior of the donjon, recreated to represent the time of its construction, and you can see downtown Matsumoto City and even parts of the northern Alps from its highest levels. Premium soba, or buckwheat in English, comes from land that is high in elevation, is prone to fog, and where the daylight hours are short. Nagano Prefecture provides the perfect growing conditions for soba and is famous for its soba noodles. Particularly noteworthy are Norikura and Nagawa, with Nagawa being home to the famous traditional Toujisoba. 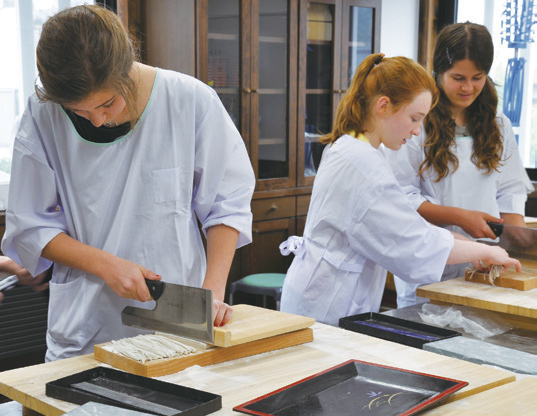 Visitors can also learn to make soba noodles by hand at the Fureai Yamabe-kan.
A beautiful landscape in the northern Alps at 1,500m above sea level, Kamikochi is visited by many tourists from April through to November outside the winter months. Walking paths running 10km from Taisho Lake to Yokoo by the Azusa River provide a view of beautiful scenery year round. There are many wells in this castle town. 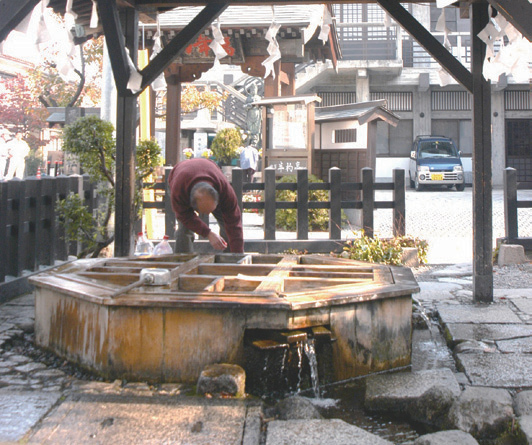 These wells provide access to the spring waters that flow down from the Utsukushigahara Highlands, and are places of rest and refreshment for the city’s residents and visitors. The wells in the city are an urban oasis, and a great place to have a drink as you explore the city. 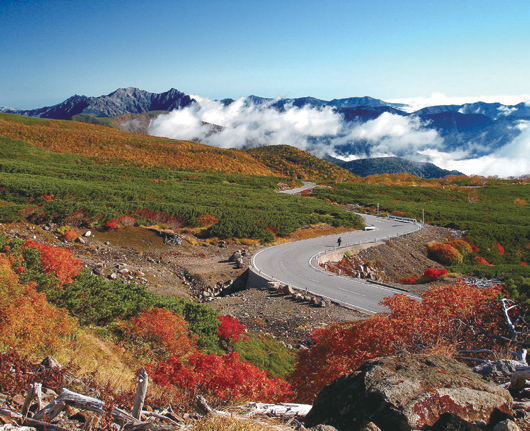 The Norikura Highlands are a collection of lands ranging 1,200m to 1,800m above sea level along the eastern reaches of Mt. Norikura. 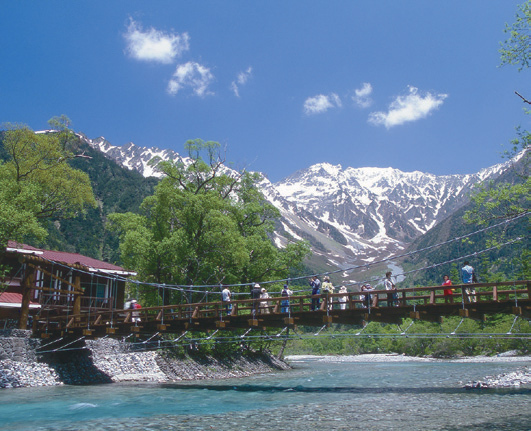 Attractions include the Ichinose Gardens, forests and lakes, marshes, waterfalls, autumn foliage, four hot springs with their own unique waters, flowers, and more. Located in the center of Nagano Prefecture, Matsumoto City has long prospered as a castle town and hub of commerce. Nakamachi Street in the heart of the city is home to heritage white-walled and latticed clay wall buildings. 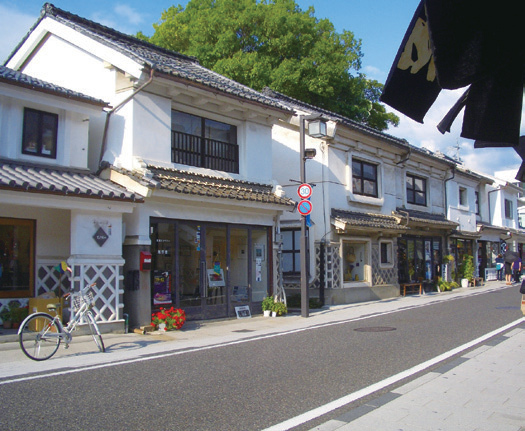 This area is a place for shopping, with goods stores, folk craft stores, sweets shops, restaurants, and more.